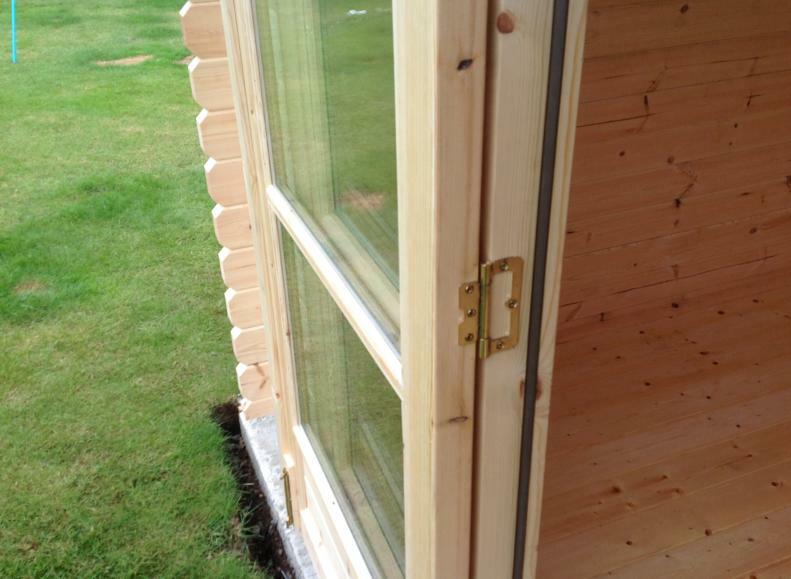 Most companies offer you low grade doors & windows with their Log Cabins, why? They hope you will pay for costly upgrades, we offer the highest grade doors & windows as standard. 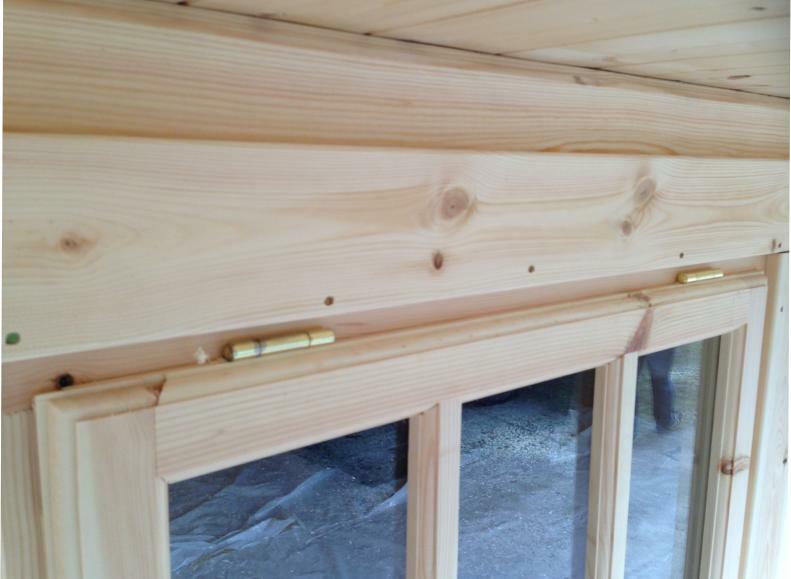 Our quality draft sealed units lock tight and secure, unlike all other manufacturers – We use the best redwood Joinery grade to make our windows and doors for each log cabin we sell. Why Redwood Timber? 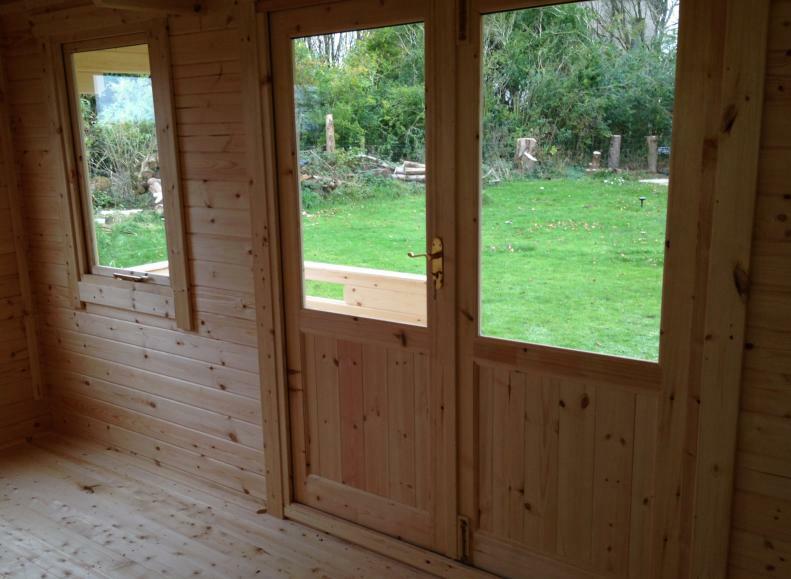 Redwood timber allows us to machine and form the timber into superb quality windows and doors. Redwood timber does not split or warp unlike faster grown spruce, redwood costs a little more but the end result is, our windows and doors are the best that out shines the competition. Best Designs? 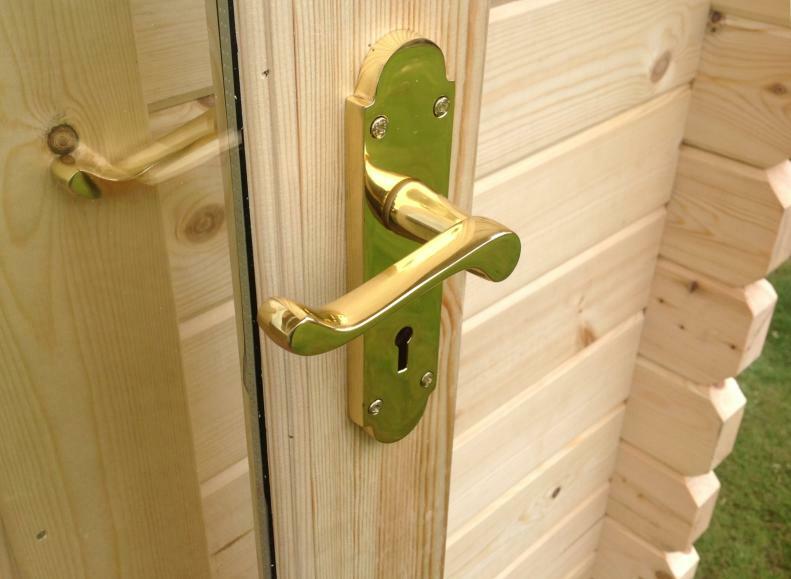 The nicest designs that are pleasing to the eye, all of our log cabin doors and windows are draught sealed keeping out the elements when the cooler weather arrives. 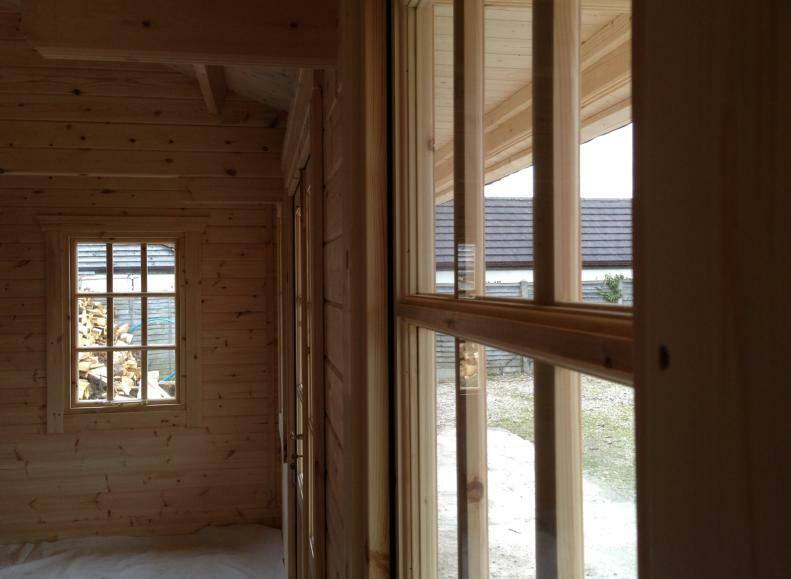 There’s nothing more pleasing than a light and airy Log Cabin made special with the full pane window and door options we offer. Most of the 1 Click Log Cabins range of windows are made to open from the bottom, unless you buy a cabin with double windows fitted. You will also have quality locks fitted to each and every window, adding security for FREE. We offer different types of window and door styles, Georgian, Euro, Full Pane or Solid Boarded - We also have different glazing options aswell, 3mm standard glass, 4mm toughened, double glazing or toughened double glazing. We can also offer left or right hinged single doors – Plus the option of inward or outward opening doors to suite our customers needs. 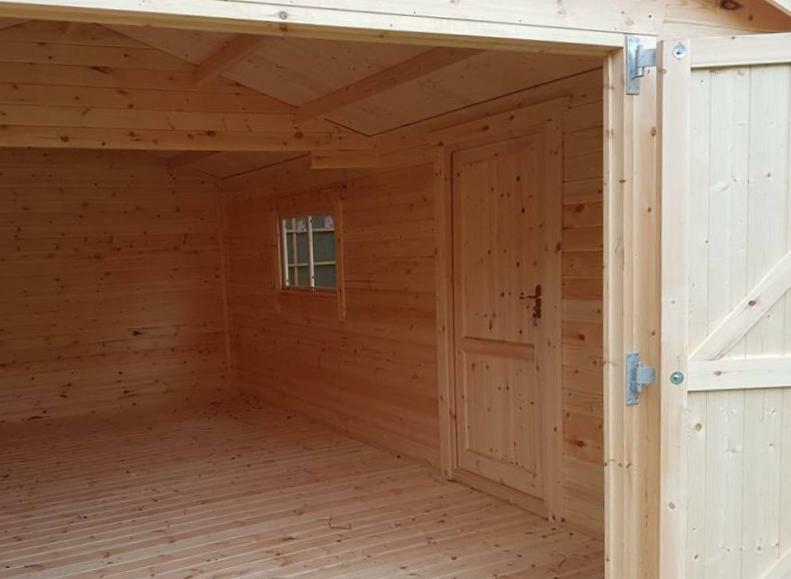 We know how important security of your log cabin is? – That’s why we offer you complete piece of mind with the best security possible. All of our doors have 3 lever locks fitted as standard, We do not offer cheap euro cylinder locks which most other cabin companies use. All of our doors have a traditional mortice jointing method of manufacture – Not a weak mitre and nailed option.